The most intriguing cake I have ever made! We had a few oranges that were kind of starting to look sad as it had been lying around on our countertop for a few days. We decided to juice it and finish it but then I chanced up on this recipe: http://smittenkitchen.com/2009/01/clementine-cake/. Never before had I seen a recipe that used the whole orange. I decided that I had to try it and I had the oranges to finish as well. As an added bonus the cake used no flour at all. I was a little worried that it would turn out to be really flat, too bitter, just not great… But boy was I wrong!!! I loved it and so did Amit. It’s just a pretty heavy cake, not the light and spongy varieties. A totally different texture and I would definitely try it again. This recipe makes a 9″ round cake and took me about 45 minutes to bake. But the original recipe does say that it could take anywhere from 30 to 60 minutes. Just keep checking on the cake every 10 mins after the first half hour and if you see that the top is browning too fast, just cover it with an aluminium foil. Boil the oranges in a large bowl filled with water to cover the oranges. Bring the water to a boil and then let the oranges cook in the water for about 2 hours. Let the oranges cool for some time and chop it up after removing the seeds. Use a food processor for this or you could chop it by hand. Line a 9″ springform pan with parchment paper. Spread a little butter on the parchment paper. Now beat the eggs in a large bowl. Next add the sugar, baking powder and ground almond to the eggs. Next mix the oranges with the rest of the ingredients. Pour this batter into the prepared pan and transfer it into the oven. Once the cake is ready let it cool on a wire rack. Once cooled add some powdered sugar on the cake and serve. 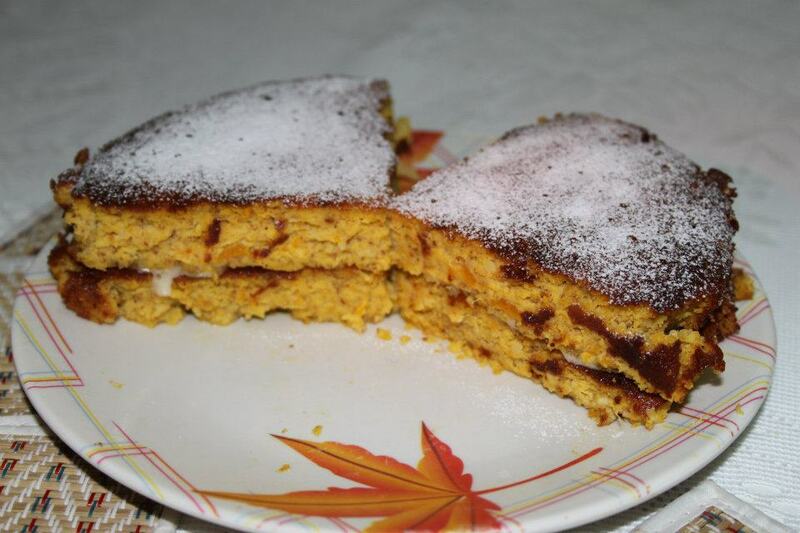 This is one of the most unusual cake recipe’s that I have ever tried.But it was awesome. 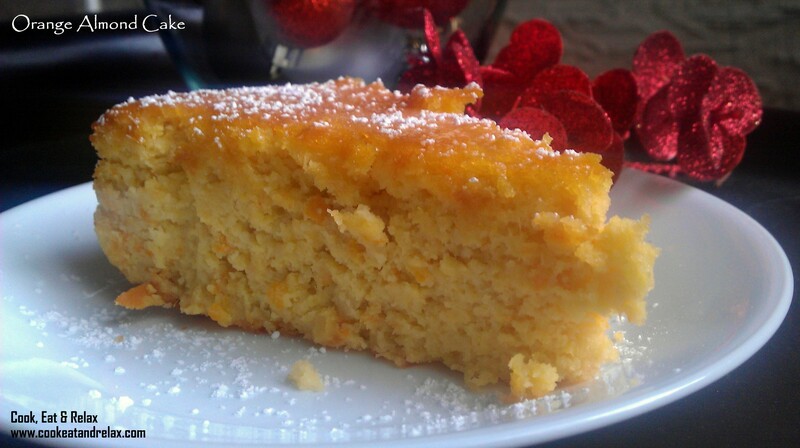 It had a unique freshness due to the oranges in the cake. You must try this recipe. Hope you love it too. 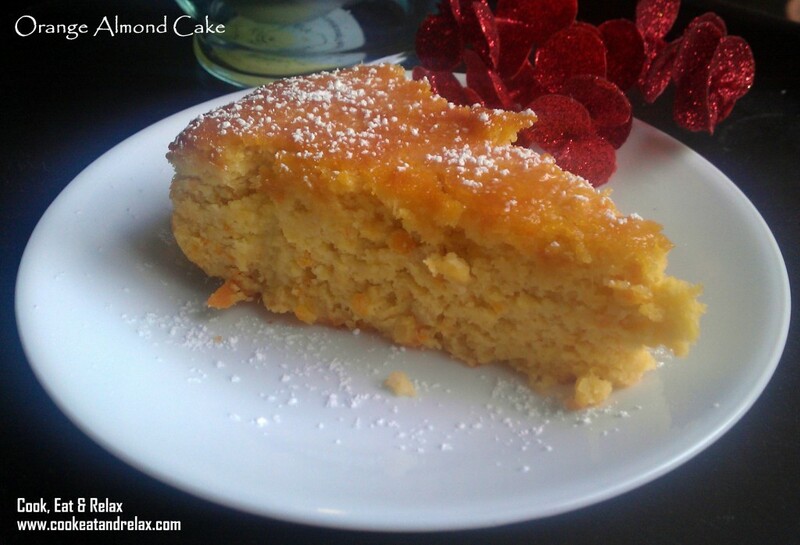 This entry was posted in Baked Treats, Desserts, Recipes and tagged almond, cake, gluten free, orange. Bookmark the permalink.